Patton Oswalt likes to watch. He has written a book about it, “Silver Screen Fiend: Learning About Life From an Addiction to Film,” which is both a reflection on obsessive movie-going and a portrait of the artist as a young comedian. As a self-described “addiction memoir,” “Silver Screen Fiend” is far less harrowing than most. 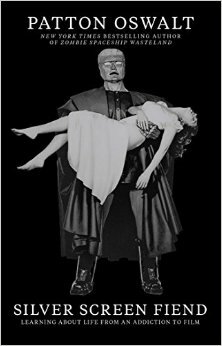 Perhaps the book’s closest equivalent to hitting rock bottom may be a bender of “Plan Nine from Outer Space,” “I Married a Monster from Outer Space,” “The Tingler,” “Mr. Sardonicus” and “Daughter of Horror” that Oswalt binged on at Hollywood’s venerable Cinerama Dome on Nov. 1, 1997. This date is noted in Oswalt’s film log that is included in the book’s Appendix and comprises four years of theatre hopping, beginning in 1995, when Oswalt was 26 years old, with a Billy Wilder double-feature of “Sunset Boulevard” and “Ace in the Hole” at the New Beverly Cinema (currently under the auspices of Quentin Tarantino) and ending with “Star Wars Episode 1: The Phantom Menace” at the Vista Theatre. 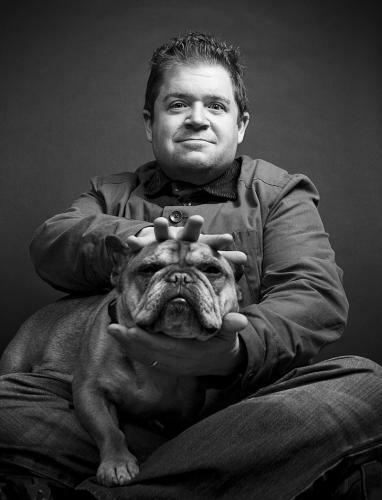 The movies loom large in Oswalt’s life, career (he is one of the screen’s most welcome, and active, character actors) and comedy. “Phantom Menace” inspired his time travel fantasy “At Midnight I Will Kill George Lucas with a Shovel” on his second CD, “Werewolves and Lollipops.” “Finest Hour” also yields his monkey excrement-filled take on romantic comedies. His epic nearly nine-minute “Star Wars” filibuster on “Parks and Recreation” has received more than 3,253,000 views on YouTube. Oswalt’s film log is prodigious and would itself make an impressive checklist for budding film geeks willing to follow Oswalt through the looking glass and down the rabbit hole. Prior to his immersion into cinephilia, he said, he had read such books as “Midnight Movies” by J. Hoberman and Jonathan Rosenbaum as well as Roger Ebert’s movie guides. “His ‘Great Movies’ essays were a big deal for me,” he said. (It is a testament to Oswalt’s esteem for Ebert that in setting the scene for “Silver Screen Fiend,” he includes among four quotes about the movies, Ebert’s maxim, “No good movie is too long and no bad movie is short enough”). One of the book’s ancillary pleasures is Oswalt’s keen writing about directors, actors and specific films. When asked which classic film perhaps surprised him the most, he responded, “One that I figured I would either hate or it wouldn’t speak to me was Ingmar Bergman’s ‘The Seventh Seal.’ I figured I should see this movie because that’s what I should do, it’s a classic, and I was amazed at how genuinely funny and human it was. It really spoke to me more than I thought it would. 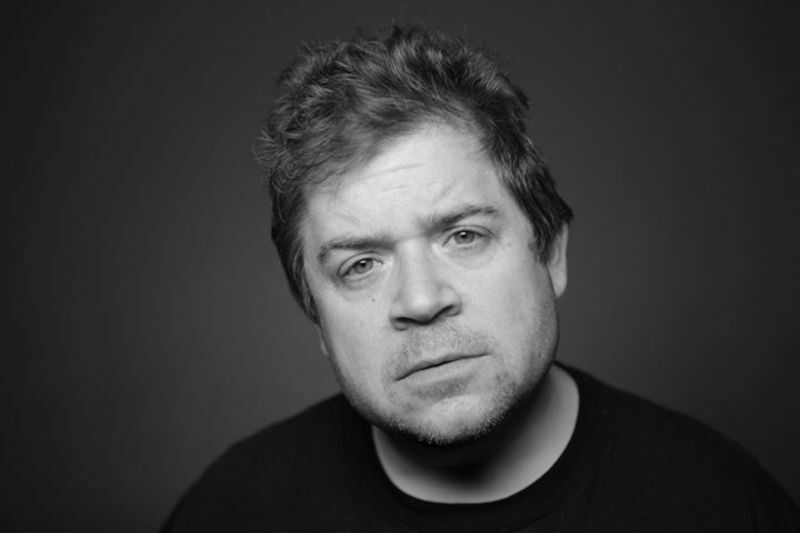 Just as Oswalt put in the Gladwellian hours in watching films over the course of those four years, so did he in his pre-comedian years put in the time listening and memorizing his parents’ comedy records and watching comedians onstage before going onstage himself. But Oswalt writes vividly about the bad sets as well. One virtuoso passage is his stream of consciousness account of his 1992 debut at the Holy City Zoo in San Francisco. He went up imagining himself as Jack Nicholson’s Joker (“Wait’ll they get a load of me”). Less than five minutes later, he walked off the stage “like I had my shins shot off,” he writes. Next Article: The Women of “Selma”: The Unsung Heroines of The Civil Rights Movement Previous Article: Video Interview: Angelina Jolie on "Unbroken"